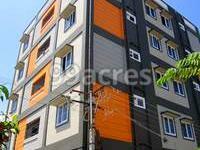 Guru Shanmugaa is one of the residential developments of Guru Designs. It offers spacious and skilfully designed 2BHK and 3BHK apartments. The project is well equipped with all the basic amenities to facilitate the needs of the residents. What is the location of Guru Shanmugaa?The location of the project is Krishna Nagar, Pondicherry. 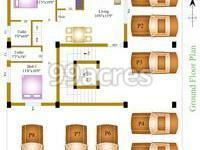 What is the area of apartments in Guru Shanmugaa? The area of apartments offered in the project is 1221.0 sqft. 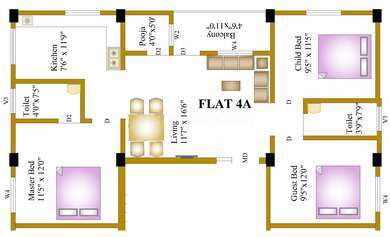 What is total area of 3 bhk in Guru Shanmugaa? 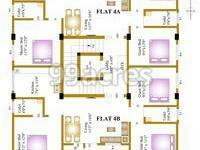 3 BHK units in the project are available in a size of 1221.0 sqft. Does Guru Shanmugaa have swimming pool? The project doesn't have a swimming pool. Is there a basket ball court in Guru Shanmugaa? The project doesn't have a basket ball court. Which banks are providing loan facility for Guru Shanmugaa? State Bank of India and LIC Housing Finance Ltd. provide loans for this project.